Successfully Added 7-inch Motorized Touchscreen 1-Din DVD Player - Detachable Panel to your Shopping Cart. 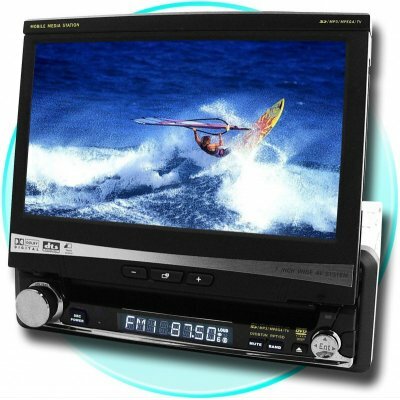 Wholesale Car DVD wtih a 7 Inch fully Motorized Panel that will detach for security. It will play DVD, DVD-R, DVD+R, DVD-RW, DVD+RW, CD, and even MP4 files including DiVX. Add to this touchscreen function, RDS Radio, and an SD/MMC card slot to easily carry around your digital muic and movies, and you have a sure fire great addition to any car entertainment system. Available now, and with a one year warranty to ensurence and even larger wholesale discounts for buying in bulk..